First, I'd like to take a minute and say, on behalf of the Career Services department here at Brock, a big congratulations to all those students who are graduating! Through the good and bad, you stuck it out and get to leave Brock not just with a BA, MA, or whatever degree you were pursuing, but with the satisfaction of knowing that all the hard work and sleepless nights have finally paid off! With that being said, the Spring Convocation ceremonies are right around the corner! The ceremonies and celebrations are taking place beginning on June 9th and ending June 13th, 2015. 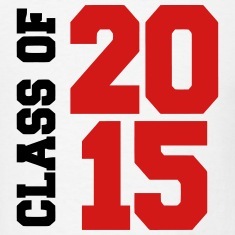 Be sure to head to http://brocku.ca/registrar/grad to find out when to attend. This year will also mark the first year that Brock is holding a Convocation Twitter Chat on June 3rd at 2pm! Simply login to Twitter and follow #BrockUGrad to stay in the loop and get all your questions answered! Our handle for Twitter is @BrockCareerServ, so be sure to follow us to get all your questions answered and to find out how to kick start your career! For more information about the Convocation Twitter chat, head to http://brocku.ca/registrar/grad/twitterchat. Finally, don't forget that here at Career Services, we are dedicated to providing you with the tools you need to succeed both as students, and as alumni. From career document review services to job search help, we encourage all new graduates to make use of our resources and our services to get the head start they need in establishing their careers following graduation! Alternative Paths for New Grads!